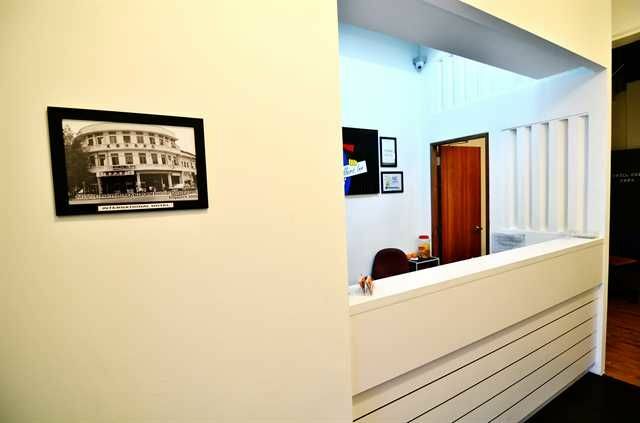 We are located in Jalan Besar, just at the fringe of the City.Travellers Inn is a traditional conservation building converted to a warm, charming and relaxing home for your comfort and pleasure. Our facilities include a relaxing common lounge area with a big screen TV as well as free Wi-Fi. We do not have a guest kitchen but we are surrounded with 24-hour eateries, a sport complex with public swimming pool (located just two minutes away). Guests can begin their day with fresh coffee/tea or chill out with a refreshing beverage after a long, exciting day of exploration on the island. 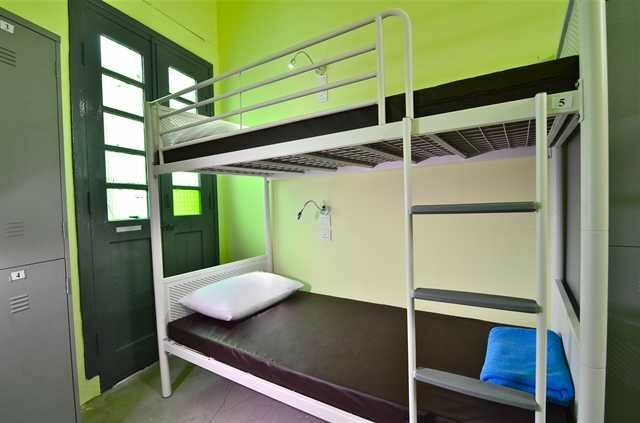 We are minutes away from Little India, major department stores such as the all-time favourite 24hours Mustafa Centre; City Square Shopping Mall and IT Malls such as Sim Lim Tower and Sim Lim Square.Most of our dorm rooms contain six beds - the perfect arrangement for friends, family and/or small groups. The dorms have air conditioning (off between 11am and 7pm). Safety is important to us and we have 24-hour CCTV cameras and a security door-lock at the main entrance and every floor.Please note that we do not accept guests under the age of 12. ID (Passport) is required at check-in; we do not accept Singapore passport holders, permanent residents, S-Pass holders or those with a Singapore employment pass or work permit. Airport to Hostel - BY MRTAt Airport (T2), take the MRT alight at Tanah Merah and take the East West line towards Joo Koon. Alight at Lavender MRT Station (EW11), proceed to Exit B and take the escalator to ground level. Turn right towards the food-court alley and walk out of the exit, cross the zebra-crossing and walk through apartment block 809 and untill the end is France road. Turn left on French Road and continue to walk through (in between) Apartment Block 805 and 806 until you come to King George's Avenue and you will see the Jalan Besar Stadium across the street. 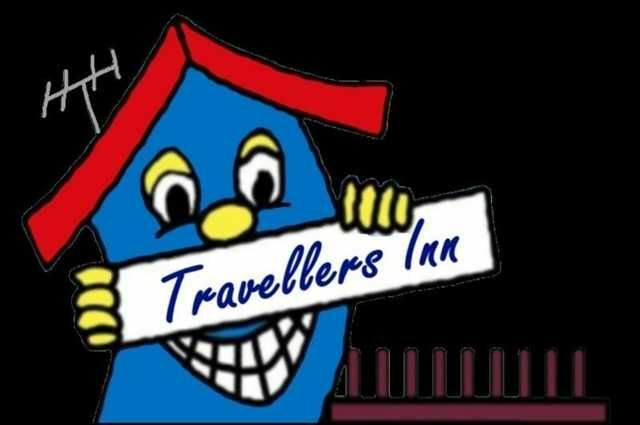 Walk straight towards the stadium walk-path and cross over to Allenby Road and you will see Travellers Inn.Airport to Hostel - BY AIRPORT SHUTTLE BUSThe Airport Shuttle Bus service is available at the Ground Transport Desk at the Airport T1 , T2 and T3. ( Please confirm with the counter staff of our address)The current charges is SGD9 per Adult and SGD6/- per Child). The bus will ferry you right to our door step.Airport to Hostel - BY TAXI ( Meter fare is about $20 to $25 peak)Inform the Taxi driver to travel via Pen Island Expressway (P.I.E) and exit the expressway at Exit 12 to Kallang Bahru, proceed straight till junction, turn right to Lavender Street than turn left to Foch Road. This road is will connected to Jalan Besar, proceed straight, our Hostel is 2 lanes about 100 meter away. After passed the Allenby road, keep left and ready to stop on next 15 meter before the Bus stop. The left side of the building is our Hostel. (You may inform the Taxi driver of the prominent landmark : Futsing Association Building or Jalan Besar football stadium or famous cuisine :Yong Tau Fu in Jalan Besar) IMPORTANT: The Black Chrysler cab is a limousine Taxi, the meter fare run faster than the rest of the cab, hire this cab if you are wealthy traveller.From Woodlands Train Check-Point to HostelProceed to the escalator right in front the Arrival hall, go down to the ground floor when the bus stop is located at behind, look for bus No.950, alight at Woodland Avenue 3 (outside Marsiling MRT station). Board the MRT at Marsiling Station (NS8) towards Marina Bay Station. Alight at Dhoby Ghaut Station (NE6/NS24) and board the North-East Line towards Punggol Station. Alight at Farrer Park Station and prepare for a 10 minutes walk. Take Exit H and walk towards Kitchener Road. After crossing the Jalan Besar's traffic junction, turn left at Jalan Besar and walk straight ahead of another 100 meter you will see Travellers Inn. Alternatively you can travel by bus but prepare for 2 hour journey, take bus No. 856 and change to bus no. 857 at Yishun bus Interchange. Alight at the bus-stop (ID:07319) right infront of our Hostel.From Queen Street Bus Terminal (Johor Bahru, Kuala Lumpur buses) to HostelWalk along Queen Street turn left to Arab Street, Weld Road, at the junction turn right to Jalan Besar, walk straight for about 15 minutes after the traffic junction of Kitchener Road, need another 100meter to reach our Hostel.From Golden Mile Complex (Malaysian and Thailand long-distance buses) to HostelCrossover to opposite direction bus stop of Golden Mile Complex and take Bus No. 961, alight at the first bus stop after junction of Kallang Road and change to bus no. 67. The bus will travel from Lavender street to Jalan Besar, alight at Bus stop no ID: 07319, we are just 2 block away from Cultural Hotel. For walking,the distance will take about 25 minutes.. walk from Beach Road to Crawford street and cross the traffic juction to Lavenda street, turn to Penhas Road and walk to the cross juction than turn right to Horne road, walk straight till end of the road is Tywhritt road, where is a food court, turn left after this food court is a swimming pool complex On the right is the Allenby road where our Hostel is located. (please use the front entrance).From Harbour Front (Coming from Malaysia by bus) to HostelWalk to the Harbourfront MRT and board the North-East Line towards Punggol Station. Alight at Farrer Park Station. Take Exit H and walk towards Kitchener Road. After crossing the Jalan Besar's traffic junction, turn left at Jalan Besar and walk straight ahead of another 100 meter you will see our Hostel.